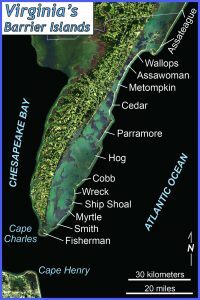 Cedar Island is one of Virginia’s barrier islands that separates the Eastern Shore from the Atlantic Ocean. 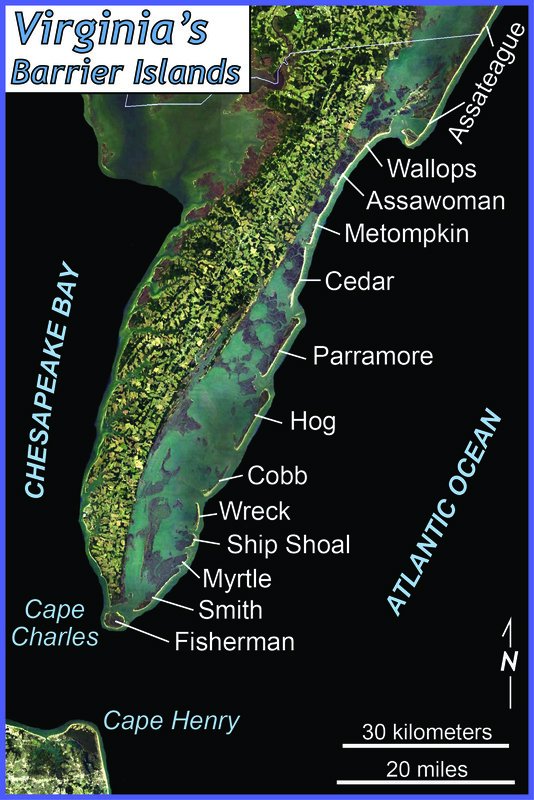 Barrier islands are dynamic environments that respond quickly to environmental changes. Over time barrier islands move, and their shorelines migrate. 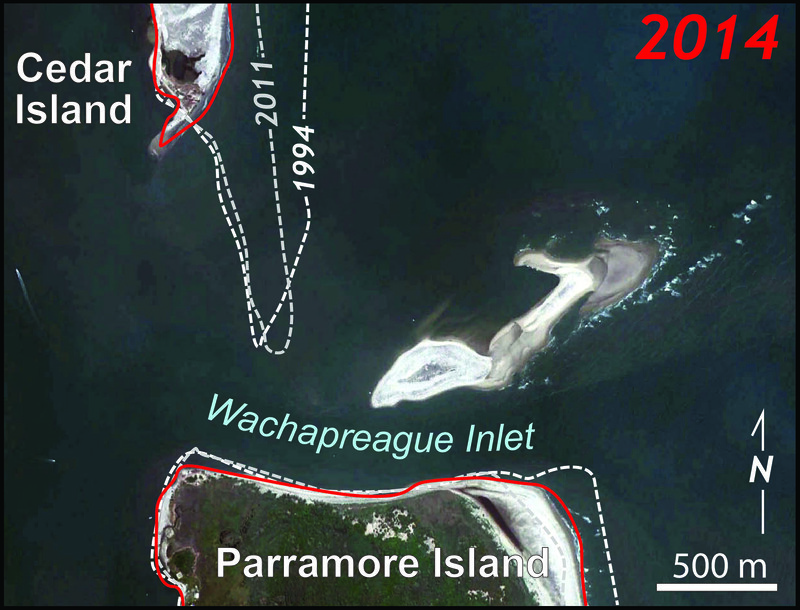 During the past two decades shoreline change at the south end of Cedar Island has been dramatic. Compare the 1994 aerial imagery to the 2014 aerial imagery (below). 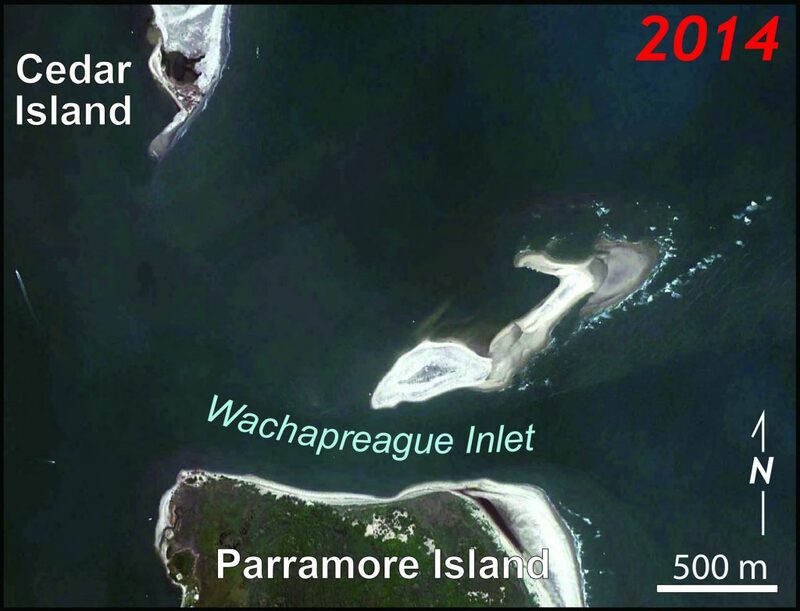 Cedar Island’s southern tip has eroded northward by more than a kilometer, and the shoreline has retreated ~400 meters to the west. Wachapreague Inlet has gotten larger, and Parramore Island’s northern edge has been relatively stable. 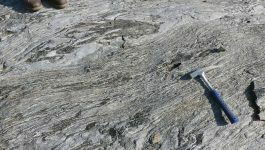 Geoscientists have long known that Cedar Island is a particularly mobile barrier island. 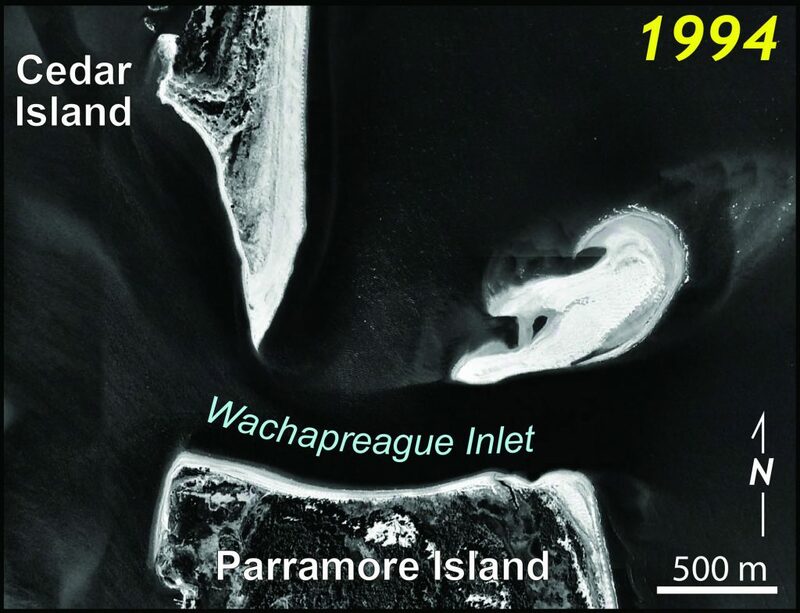 Yet, Cedar Island is privately owned, and in 1990 dozens of houses were permitted (by the Virginia Marine Resource Commission) to be built on the barrier island. 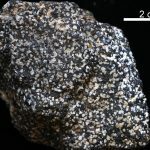 Another example of scientific evidence being tossed aside by policy makers. By 1997 27 homes had been constructed facing the Atlantic Ocean. 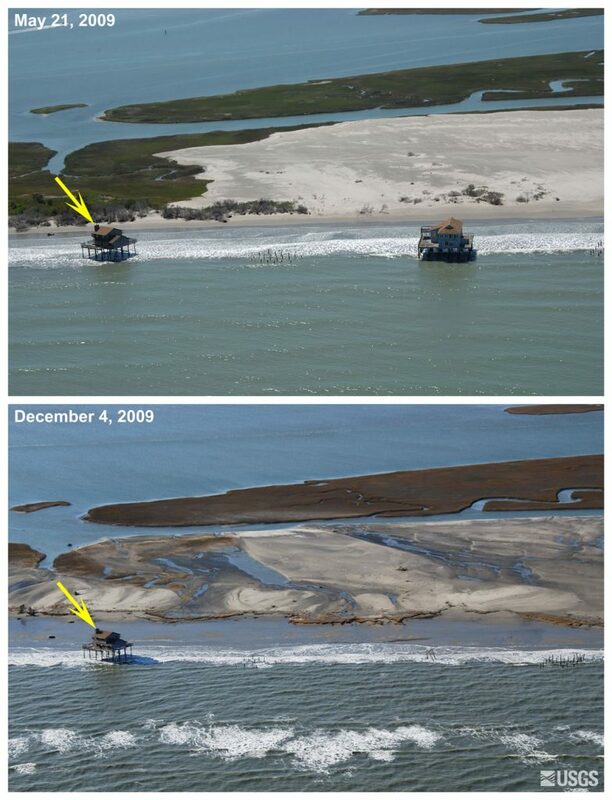 In 2014 the last houses on Cedar Island had succumb to the shifting sand and moving island. A legal quagmire continues as property owners are still taxed (albeit at a low rate) over lots that are now fully submerged beneath the Atlantic waves.